If you saw the first one and liked it, you get more of the same. If you saw it on video, wait until it comes out of video as well. There is a point in the movie where Liam Neeson’s character tells his daughter where to go while driving through the streets of Istanbul, and he keeps looking at a GPS and shouts the directions to his daughter. All throughout this sequence I kept thinking about what it would be like to be driving around in your car with Liam Neeson’s voice shouting directions at you. The chase sequence in the movie would go on like this: (Neeson) “Faster Kim, faster”, (Daughter) “I can’t, I can’t”, over and over. I guess if you ever wanted to feel like you are being pursued by a gang of homicidal criminals, you could use his voice. The end of the movie is so weirdly happy and upbeat, you end up thinking that one of the characters in the movie was going to wake up and realize they are in an insane asylum because of PTSD. If you are looking for a fix of justice pr0n, go see DREDD instead, it’s much more satisfying. 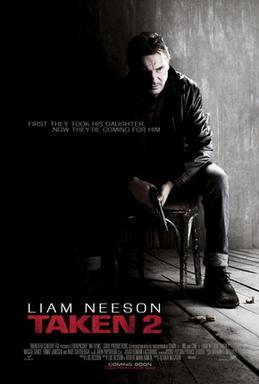 Taken (One) was stupidly Hollywood with an overaged actor performing as only a script would allow. I did like some of the grittiness that very much follows in the “kiddie kidnapped, ex-you don’t want to mess with them losers, torturing and killing everyone in the way to make the rescue. He never misses with a gun or knife, everyone one else does. Five Uzi’s versus a handgun?==No problem. Is that Dredd as in Judge Dredd? I’ve had the opportunity to watch that and have always passed. Good right now I think: Jason Bourne and 007. Still Hollywood, but somehow more satisfying. Maybe Transporter and even Crank for much the same. Makes me want to watch anything by Torentino, Ritchie, or Rodriquez again. I need a violence fix. Maybe a response to Alfie would do it? I was going to link to a video of Neeson reviewing the film… but those hack reviews are all the same: “I play… I enjoyed… Everyone was great to work with…. Most fun I have had ….” Every star is required to spew this by their employment contract and desire to make another movie. hhaha what a dipshit. Overage actor playing a character that is retire, what a joke right. Damn retard. Dredd is actually really good. You should definitely see it. Pedro: quit spamming this forum! yes, tapiterie auto have much good information. please are valuable links. thank you. More “Hollywood” crap, if you ask me. Just like their politics this movie has absolutely no originality or substance – it’s just a different spin on the same old CRAP! Crap that no one really wanted or needed. About the only good thing I can say is, at least it’s not another cop show. CLOSE! But it’s not all about cops and robbers like the majority of all the other crap formula films/shows we see coming out of Hollywood. I can’t recall the last cop show out of Hollywood. LA Confidential?==pretty good show. No, I think you need to get out more. 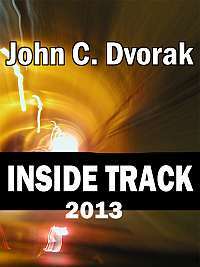 Its all comic book superheros and Vampires. Matinee tickets are cheap, or you can just carefully review the Titles on the Marquees. Bad Behavior has blocked 19366 access attempts in the last 7 days.